The 2-Way Chemical Proportioning Dispenser accurately dilutes two chemical concentrates to the required ratios and dispenses ready-to-use chemical solutions into any sized container. This venturi injection system requires only standard city water pressure (35 – 125 PSI) to draw and blend chemical concentrates using precision metering tips to control chemical usage. 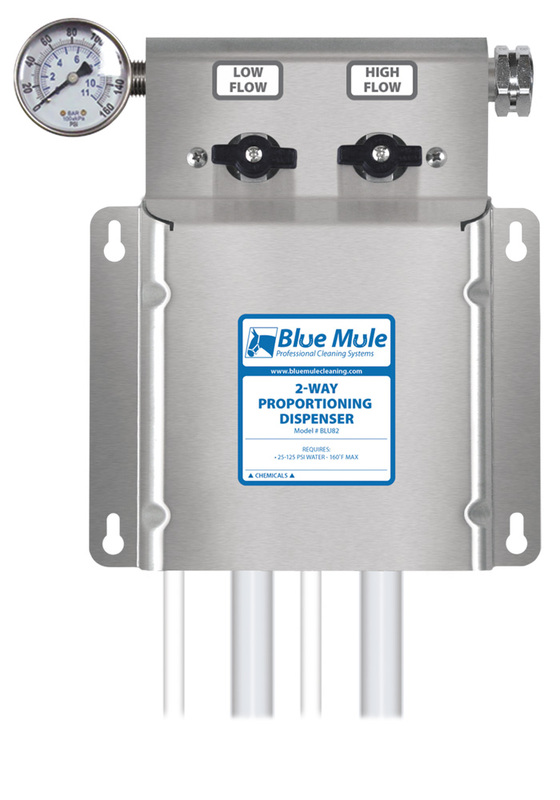 Available with your choice of flow rate for each valve (bottle fill, low flow or high flow).